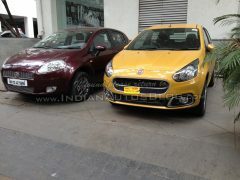 The new Fiat Punto Evo has been launched in India. 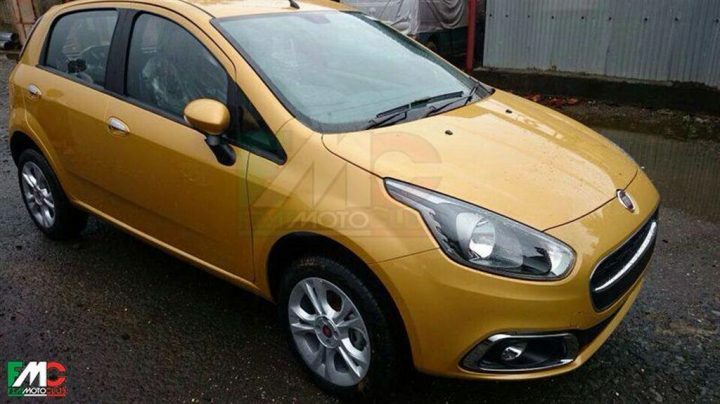 Fiat brings to you the rechristened Punto Evo a facelift of the erstwhile Fiat Punto. Set to come out on the 5th August in Delhi, the Fiat Punto Evo will be unveiled in 15 cities thereafter in as many days with the next stop scheduled as Mumbai on 8th August. 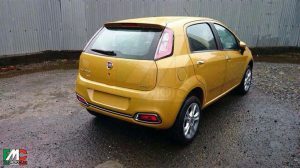 The Punto Evo is mainly a cosmetic change to the Punto with the mechanical specification of the hatchback still the same. With the production of Fiat Punto already discontinued the Punto becomes the sole flag-bearer for Fiat in the Hatchbacks and to make sure that nothing stands in the way of its success, Fiat -according to reports- will be pricing it very competitively to win over the other hatchbacks scheduled for a launch later this year. So sit tight as present before you all that you need to know about the Fiat Punto Evo. Each with a petrol & diesel engine, with an extra Sports variant with diesel motor. Making it a total of seven-variants. 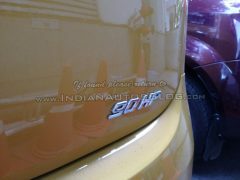 The Prices of these variants shall range from Rs 5-8 Lakh. The Punto Evo gets a new India-specific front fascia –which seems to be inspired a little by the Avventura- and rear bumper which give the car a modern aura with a bold character. The larger pulled-back headlamps and chrome-lined grille do a very good job of hiding the hatchback’s age. 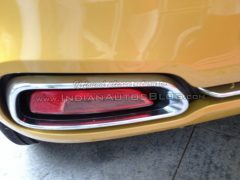 The bumper has a sharp air-splitter and accomodates a wider secondary airdam. The prominent chrome topped foglamp enclosures are a little over the top, but fit in surprisingly well with the surroundings.The general shape of the hatchback has been retained which is good considering that the Punto was one of the better looking hatchbacks around. The wing mirrors now accommodate integrated LED turn indicators and the new top-end Sport variant has been bestowed with 16-inch alloy wheels. 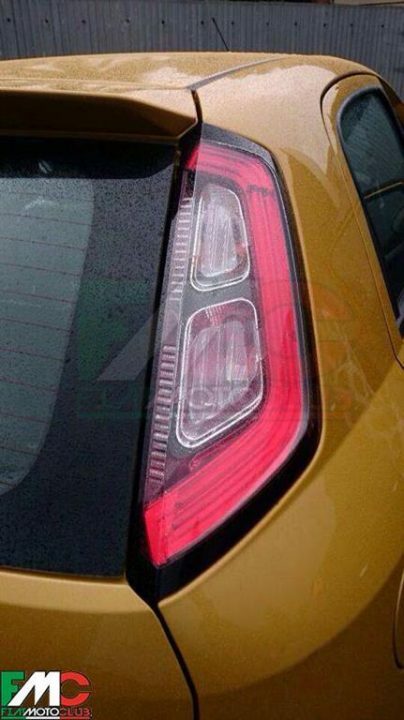 Coming at the rear end, the Punto Evo’s taillights are tastefully detailed with outer LED tubing and clear lens indicator bulbs. The most noticeable change however comes in the form of a massive chrome ornamentation that runs across the width of the car and hosts reverse lamp (left) and red foglamp (right). The Sport variant also gets a roof mounted spoiler and the new ‘Punto Evo’ badge sum up exterior changes. 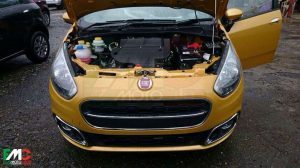 If the exteriors looks to have borrowed from the Avventura, the interiors seem to have taken a cue from the Fiat Linea giving it a look far better than the previous Punto. The dual tone dashboard is a big step upwards in terms of the merging in with the vehicle and creating that plush feel to it and so is the new set of upholstery. Interiors can also boast of a fully loaded instrument console displaying digital clock, trip meter and mileage indications along with average speed and duration. 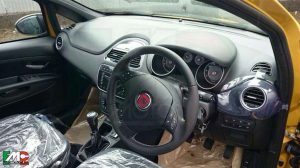 It also has front airbags, chrome door handles and front fog lamps along with rear AC vents, climate control leather wrapped steering wheel and rear defogger and window washer and wiper. 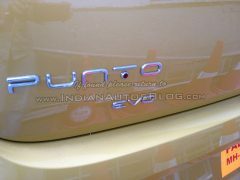 Diesel: Punto Evo continues to get the same 1.3L MJD in two states of tune. The Punto Evo variants get the 1.3 MJD with fixed-geometry-turbo (FGT) churning out 75bhp @ 4000rpm and 197Nm of max torque at 1750rpm. While the Punto Evo Sports gets the better variable-geometry-turbocharger which pumps the power of 88.8bhp while the torque is 209Nm. Both the engines are mated to a five speed manual transmission. Petrol: The petrol trim also gets similar powertrains, the 1.4L FIRE engine produces 88.8bhp at 6000rpm and 115Nm of torque at 4500rpm. While the smaller capacity 1.2 FIRE mill gathers 67bhp at 6000rpm and 96Nm at 2500rpm. Both the engines are mated to a five speed manual transmission. THe Punto Evo sport clocks in a top speed of 165Kmph. 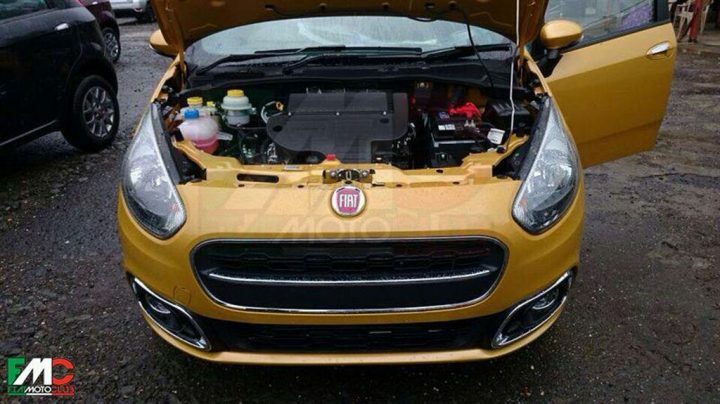 So the Fiat Punto Evo will have its work cut out in what is traditionally a very competitive market. By the looks of it they look prepared but will Fiat’s history or rather lack of it come back to bite them or will this be the moment when they finally break free of the shackles and establish themselves as key players in the Indian Market. We shall have the answers to all the above questions in a months time. How do you like the Fiat Punto Evo? Share with us through the comment section below.